Do you subscribe to newsletters? Have you ever felt like your inbox is cluttered by unimportant newsletters? Well yea I do feel that. I subscribed to some brands and e-commerce that I love, but they're turning into annoying creatures when it comes into weekly email promo, sale announcement email, etc etc etc. Unsubscribe. There is one brand that I subscribed to, I feel happy whenever I receive their email. Weird huh? Pretty much. 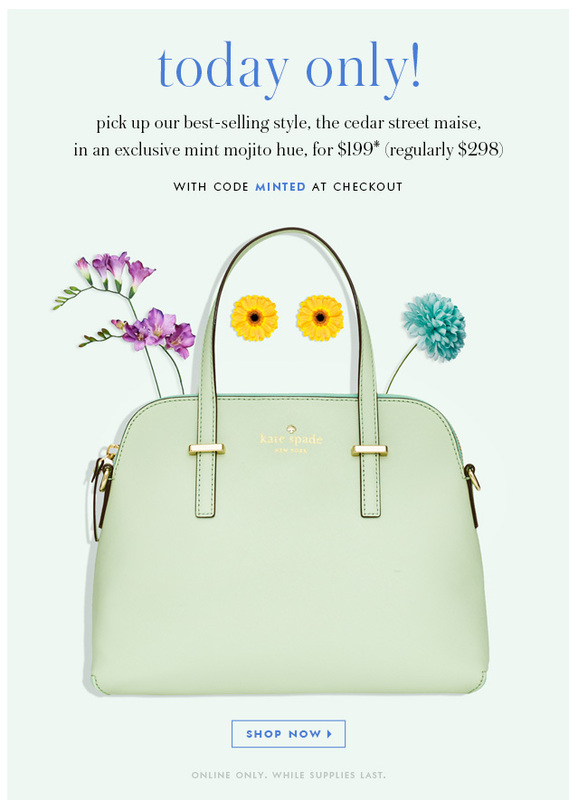 But that is what happened between me and Kate Spade. There's a magic in their email hahaha. Basically I love Kate Spade. 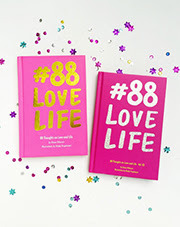 I love their brand image, colorful, fun, happy go lucky. 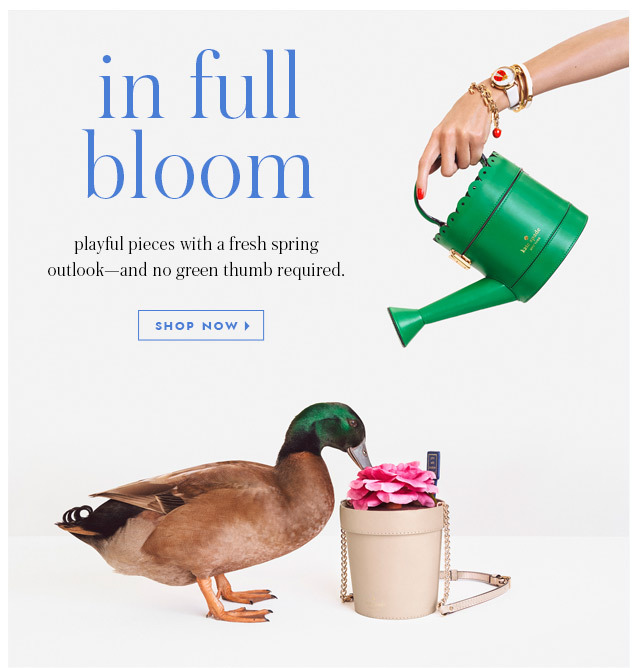 I love how Kate Spade successfully translated their brand image to their digital channels (read: website, blog, social media). Let's just talk about their newsletter. 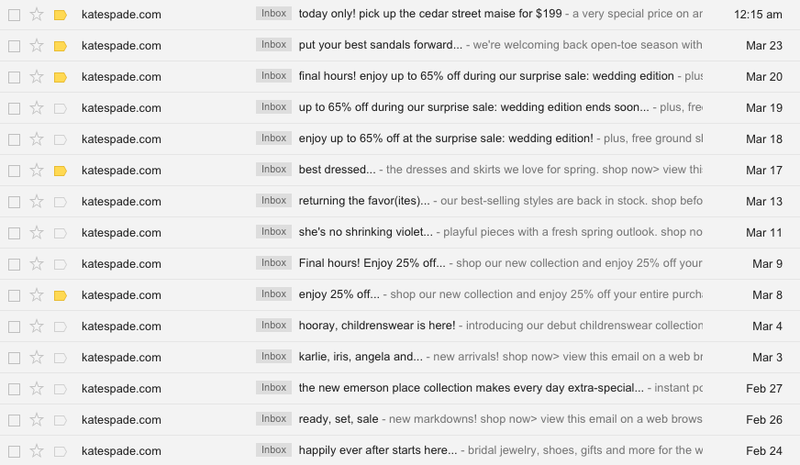 First, they write the email subject in lower case and sometimes partnered with double dots. You know, just like a friend sends you an email. A simple thing that is genius. No matter how often their newsletter email is, I don't feel annoyed because I don't have that stranger screaming for attention in my inbox. Take a look at my inbox screenshot below. At first I thought it was a typo, but then I realised that it is a strategy. A brilliant one. Second, their email is always an eye candy. Short sentences, bright colors combined with pastels, eye pleasing layout, and cute animations (gif). Even though I never bought them online (because the shipping and local customs would be pretty hectic), but I often click the email that leads to their website. Their newsletter is a successful one, at least for me hahaha. 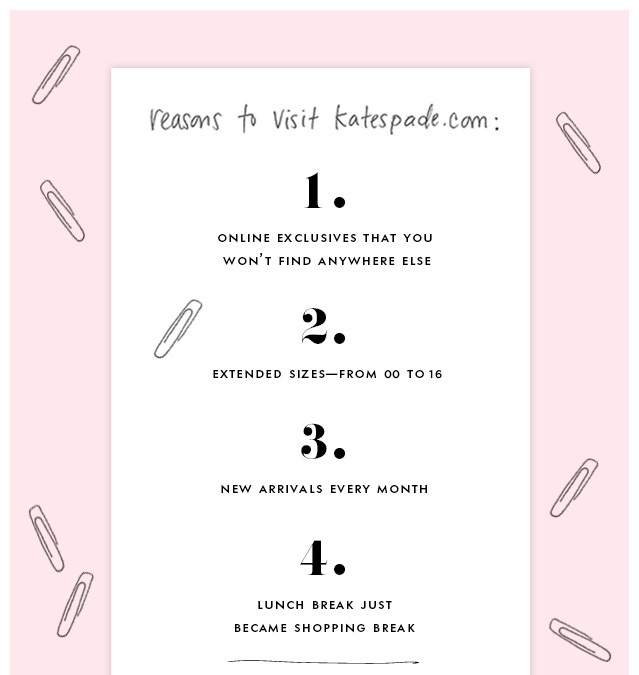 Here let me show you some of my fave images from Kate Spade's newsletter.